Latent Semantic Indexing (LSI) is this year’s hot topic when it comes to Search Engine Optimisation (SEO) and in particular SEO Copywriting as a component of online marketing efforts. So is LSI just more pseudo-scientific SEO babble? Partly – It’s a glorified way of trying to tell you to use as many related terms and expressions as possible when writing a piece of web content or when creating a piece of written work (articles or press releases for example) that are to be used online and may contain links back to your site. 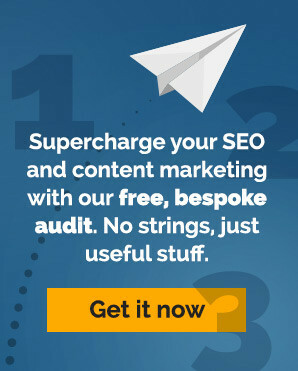 There are incredibly complicated mathematical models and formulas for LSI but to be honest they’re best avoided if you’re an SEO copywriter. One of the main motivations for LSI becoming so relevant these days is that the search engines are now incorporating more sophisticated signals as part of their search algorithms. Using semantic search technology to try to improve the relevance of results (Microsoft bought Powerset, the semantic search engine, last year for more than $100 million and has integrated it with its new Kumo search engine) the search companies are working hard to try and improve upon the current poor returns – 40% of queries go unanswered. Whereas once you could simply keyword stuff your SEO copywriting and probably achieve reasonable results the search engines apply LSI to try and determine a topical relevance for content. Synonyms, conceptually related terms, related tags and folksonomy (collaborative tagging, social classification, social indexing, and social tagging) are used to describe the same concept and strengthen your islands of topicality for all related terms. Want to try an experiment? Use a tilde ~ before a search word in Google ~football for example. When you look through the returns you’ll notice that certain words are highlighted, sports, college, NFL, Premiership. These are words that Google considers are related and would be wise incorporating into the SEO copywriting to create semantic coverage. The English Premiership is widely regarded as one of the world’s most exciting professional sports leagues. In the States though, football means only one thing, NFL or college league American Football, the Premiership and soccer barely exist – NFL rules big time. See what we’ve done? It works, too.